Journey to the peaceful center of mindfulness in the beautiful setting of Sinking Creek Farm. 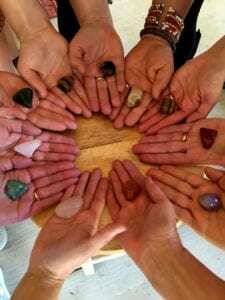 Highly experienced facilitators will guide you through practices of mindful meditation and movement, breath-work, Qigong energy practice, journaling and communing with nature. Don’t miss this special opportunity to retreat into time for self-reflection, healing, and personal discovery. Don’t miss this unique opportunity to improve your wellbeing – available right in the heart of Murfreesboro, TN!